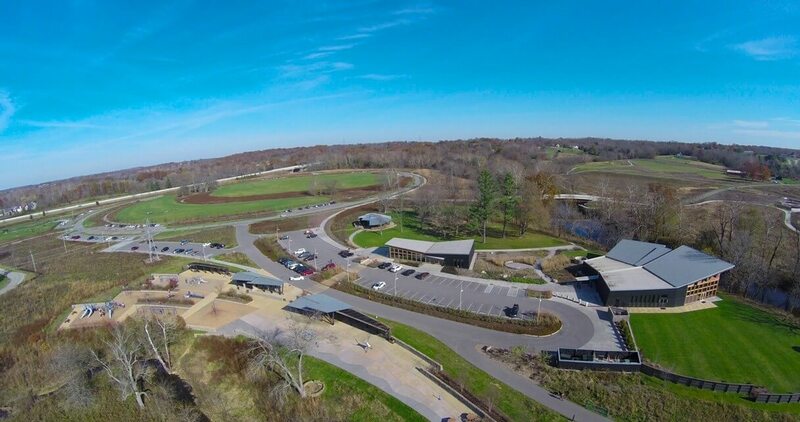 Kelley Construction is honored to have been selected to take part in The Parklands of Floyds Fork project, a progressive and world-class addition to Louisville’s extensive park system. 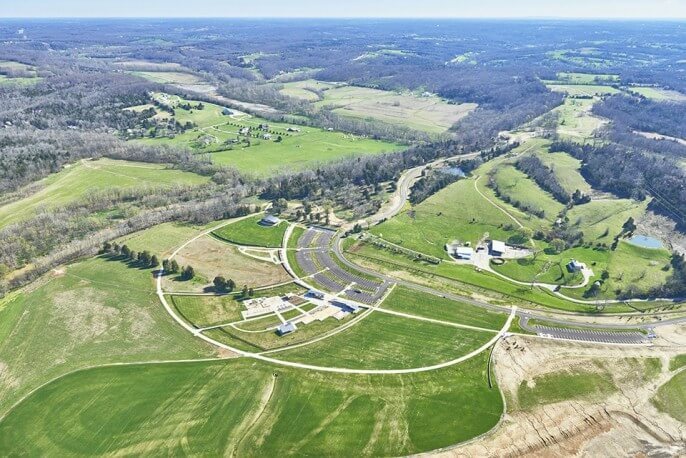 Kelley Construction was selected as the general contractor for Project 2B: Beckley Creek Park-North which stretches 220 acres. 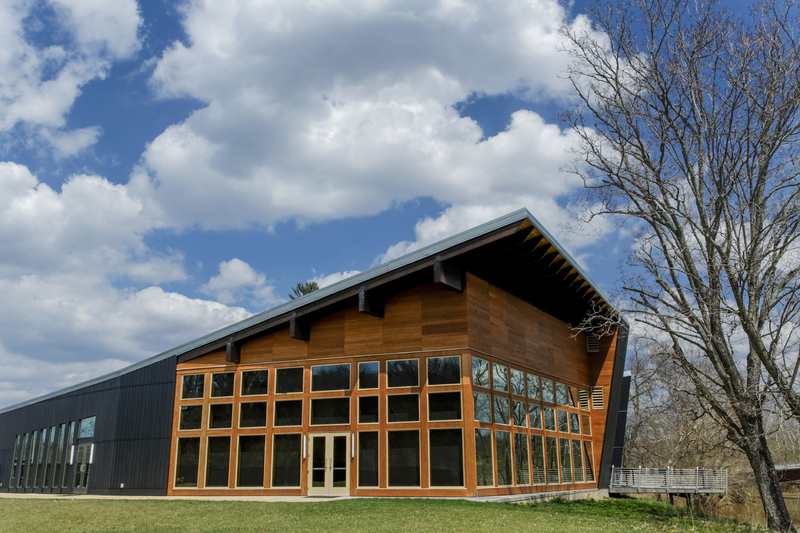 This project consisted of several park elements: the Gheens Foundation Lodge features reception, meeting, and activity rooms, along with a deck and terraces for enjoyment of the gorgeous views; the PNC Achievement Center for Education and Interpretation houses classrooms, offices, and exhibit space. This project also included The Signature Egg Lawn, Canoe Launch, and an ADA Accessible Fishing Pier. 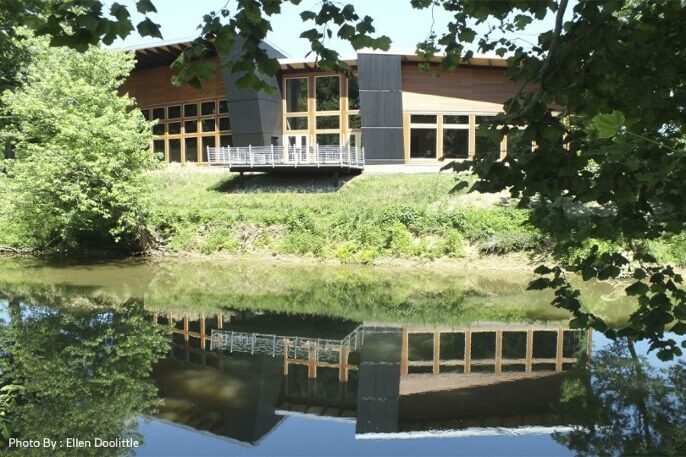 During construction, the Kelley team overcame a series of challenges to complete this project: a lumber shortage resulting from the tornadoes that ravaged the area in early 2012; a record year of precipitation in 2011 compounded by a poorly draining site; and the need to source and plant 8,000 native trees. Founded in 2005, 21st Century Parks is a private, non-profit corporation based in Louisville, Kentucky with a passion for creating public parklands to meet the needs of the local community, while preserving and enhancing landscapes for native plant and animal species. Kelley Construction received an Award of Excellence from the Kentuckiana ABC for work completed on the Parklands.